Construction is coming along great on this Beautiful Lago Home with Stunning Views. Stonework is complete and sheet rock and driveway will be next. For more information or to see the finish out contact us anytime to setup appointment! HOME FEATURES: Hill Country Views, Near Middle School, 1 Mile to Lake, 3/2/2 with study, 1905 Sq. 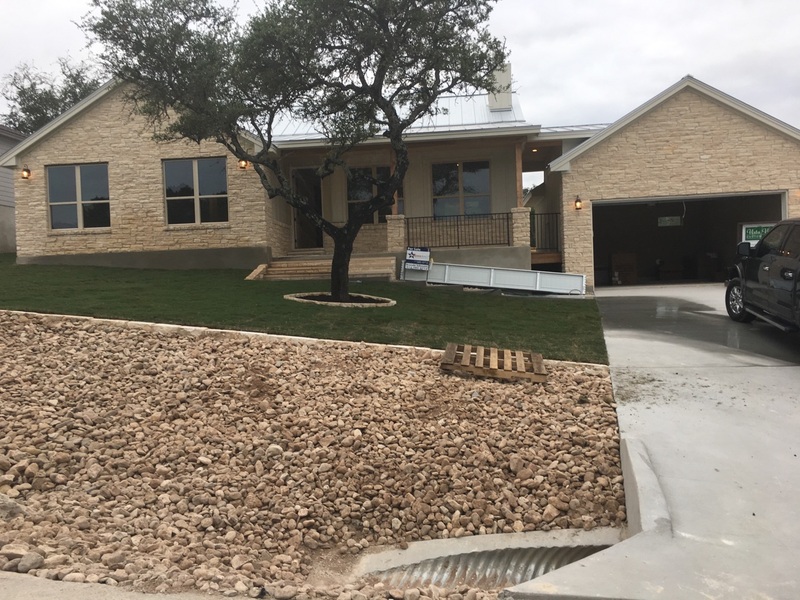 Ft, Stone/Stucco/Hardi Exterior, Spray Foam Insulation, 35 Year Composition Roof, Large Covered Back Porch, Custom Cabinets, Granite Countertops, Wood Like HardTile in all traffic areas with Carpet in Bedroom, Energy Efficient Stainless Appliance Package and more!